According to the National Institute of Neurological Disorders and Stroke, an estimated 18 million Americans suffer from sleep apnea, with many cases going undiagnosed. Sleep apnea for Visalia residents does not have to be an ongoing issue, thanks to the modern, effective sleep apnea dental treatments provided by Dr. Bodensteiner. Sleep apnea affects the ability to breathe adequately and freely while sleeping, with typical side effects being loud snoring, excessive daytime sleepiness and obesity. Sleep apnea is not something to take lightly. It can be dangerous and detrimental to your over-all health. Dr. Bodensteiner uses modern dental technology to address sleep apnea concerns. Customized mouthguards or mandibular advancement devices are created according to patient needs. These are worn while sleeping and can effectively position the jaw for optimum air intake, reducing or even eliminating snoring. 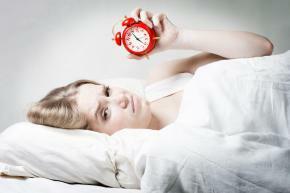 If you suffer from the symptoms of sleep apnea, it is important to act without delay. Dr. Bodensteiner can skillfully help alleviate the issues preventing you from getting the sleep your body desperately needs. Thanks to modern sleep apnea treatment options, Visalia residents can enjoy sound, uninterrupted sleep at night and a higher quality of life during the day.